Nine days does not seem long. Nine days is just over one week. Nine days is nothing….unless you are waiting for news. Good news. Bad news. Medical news. Waiting is the hardest part of this journey. Patience is something you must learn very quickly because waiting can be terrifying, especially if you’re waiting for the official news on whether or not a transfer took. 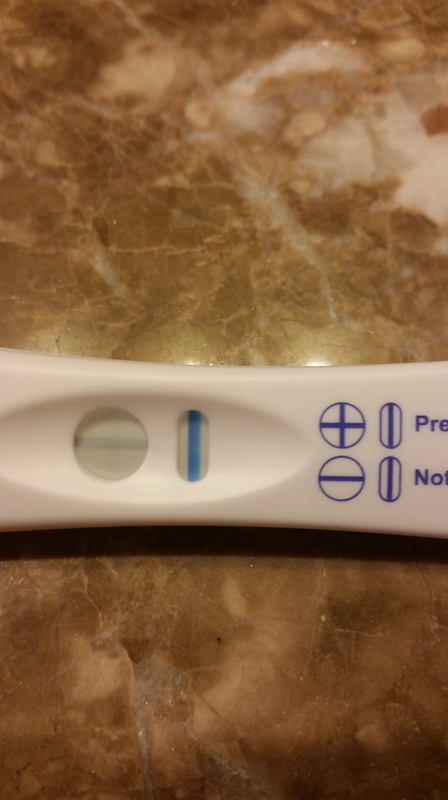 They tell you not to take a home pregnancy test, but who are they kidding? They expect us to wait nine days for the most important news of this entire process? I tried. I mean I really tried to wait, to be patient, to not over analyze every possible symptom I was experiencing. I lasted 4 days. Transfer was Monday, March 2nd; I peed on a stick Friday March 6th. I knew it was SUPER early and there was very little possibility of anything showing up on a hpt. In a regular pregnancy I wouldn’t have even missed a period until the following week. BUT, when you are waiting for good news, you will do anything to get it early. So, I peed on a stick. A co-worker had a leftover pregnancy test so she brought it in for me and I took it right away. You could only see a second line if you turned it just right in the light, and it didn’t show up in the picture at all. I was slightly disappointed, but I knew I was being insane because it was WAY TOO EARLY to see anything. My husband was grocery shopping that day so I instructed him to buy me another package of home pregnancy tests. All I knew is that I was beyond exhausted. I couldn’t seem to sleep enough and that is really challenging when you’re working full time, going to school, and chasing around two kids of your own. All I wanted was sleep and coffee, and I couldn’t have either. The following morning I took another hpt first thing after waking up. It was now 5 days since my transfer. (Still too early, but I’m not really a patient person.) There was a slightly darker line, at least enough to barely be seen in a photo. I knew it was still early, but being able to see a line did help relieve a little bit of my nerves. I can’t even imagine what my IPs were going through as I had told them nothing of my shenanigans. My husband certainly wasn’t helping either as every time I yawned he’d say “it’s because you’re growing babies” or if I was hungry he’d say “it’s because you’re eating for three now.” At least I was getting lots of back and foot rubs out of him! I decided to try to wait until Monday, March 9, before taking my final test. I tried to keep myself occupied on Sunday so I wouldn’t think too much about it, but I really just lazed on the couch, attempted and failed to do homework, and watched a lot of Bones, all while trying not to fall asleep every ten minutes. Waiting two more days for my blood test was challenging and I really just tried to stay busy, focus on school, and not think about how tired I was. I also was struggling to make it up the three flights of stairs to my condo without getting super winded. All my friends and family kept pestering me…”Do you know yet?” “How are you feeling?” “Do you feel pregnant yet?” It made it very difficult not to think about Wednesday. Today is Wednesday. (I survived 9 days of waiting!) I went in early to CCRM for my blood work and went to work like normal. I knew I wouldn’t hear anything until late afternoon and was just hoping it would be busy at work so time would fly by. I got a phone call from a co-worker (I call her my 2nd mom) wishing me good luck and to just relax and stay positive because she was confident I was pregnant. 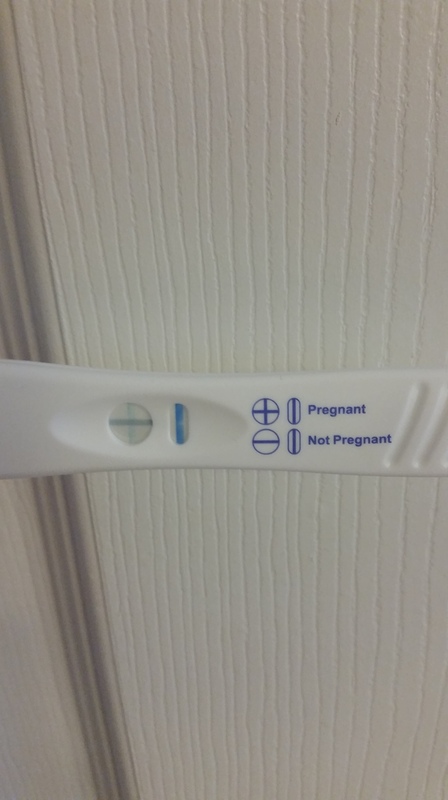 My husband also said he knew I was pregnant but wished my luck anyway. (He knew before I did with both my girls!) I also got a text from my IM saying she was excited to hear the news. Amazing news! The feeling of relief was instantaneous. 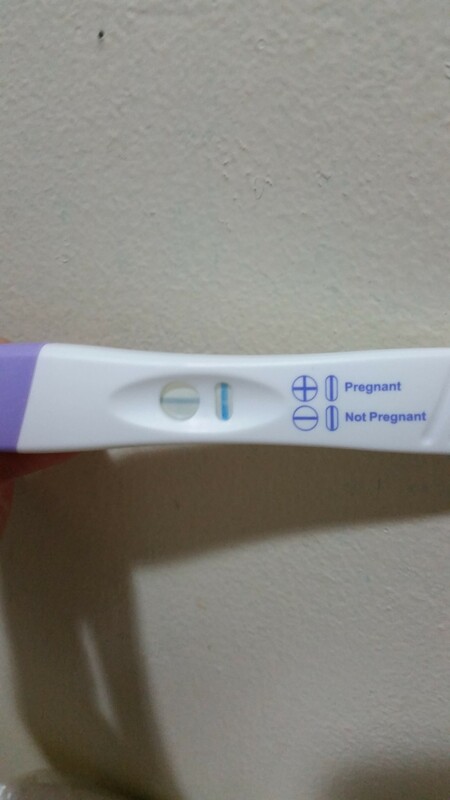 I was so absolutely relieved to be able to give my IPs some GREAT news and so overjoyed for them to be expecting! I will go back in Friday morning for more blood work to make sure my HCG is still rising and then the countdown to the ultrasound begins. I am now 4 weeks pregnant. I can finally be excited to be pregnant, but now I have to wait 2 and a half more weeks to find out how many peas are in my pod.